On September 30, scientists returned from a 25-day research expedition aboard NOAA Ship Hiʻialakai to explore the deep reefs of the Monument. Their primary mission was to survey the deep coral reefs – called mesophotic coral ecosystems – at depths between 180 and 300 feet using advanced Closed-Circuit Rebreather (CCR) diving technology. 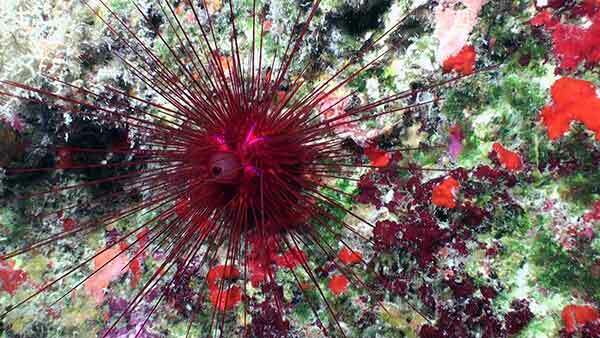 These are some of the most unexplored places on the planet. 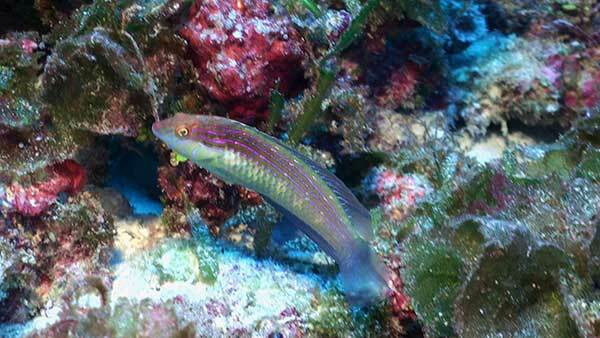 The researchers visited French Frigate Shoals, Lisianski Island, Pearl and Hermes Atoll and Midway Atoll, making several dives in the ‘twilight zone.’ Numerous unidentified organisms, including sea cucumbers, sea urchins, algae and fish were collected. Scientists believe it is highly likely that many of these constitute undescribed species that are completely new to science. 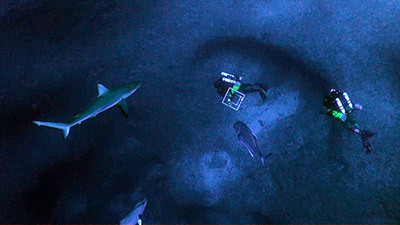 Scientists also tagged sharks and ulua (jacks), deployed/recovered underwater acoustic receivers that listen for tagged predators, and deployed/recovered Baited Remote Underwater Video Stations (BRUVS), stereo-video camera systems that filmed and measured sharks, jacks and other predators on mesophotic reefs in the Monument. This expedition marked the deepest dives ever conducted by NOAA scientists on CCRs, and supported managers’ efforts to characterize the deep water habitats of the Monument and share their discoveries. 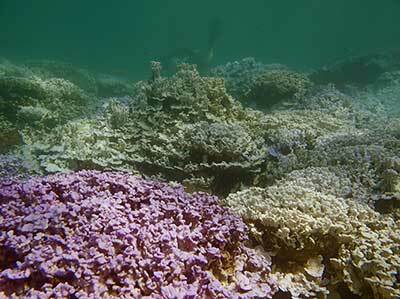 Scientists also made an unwelcome discovery: coral bleaching. Researchers from the Hawai‘i Institute of Marine Biology documented moderate to major coral bleaching at Lisianski Island and several neighboring atolls. Reefs around Lisianski Island were most heavily impacted, with up to 90% of the coral colonies in less than 30 feet of water exhibiting signs of bleaching. Between 30 and 100 feet, 30-40% of corals were bleached. 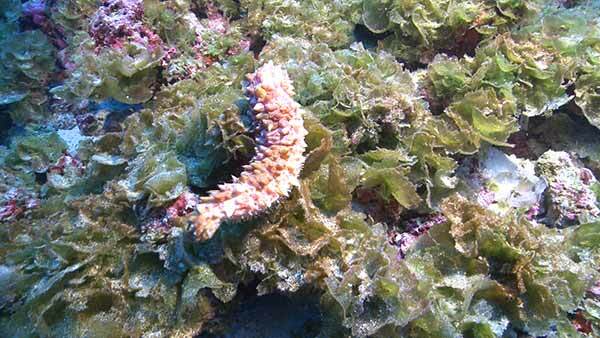 Corals of the genus Montipora were most heavily impacted. Coral bleaching is driven by higher than normal sea surface temperatures linked with climate change, and is increasing in frequency and severity around the globe. Technical divers reported seawater temperatures as high as 85 degrees Fahrenheit at depths of 200 feet, which is unusually warm for this depth. This event marks the third reported mass bleaching event in the Northwestern Hawaiian Islands, and shows that that even remote, highly protected areas like the Monument are not immune to the impacts of global warming, which is driven by human activities in more heavily populated areas.